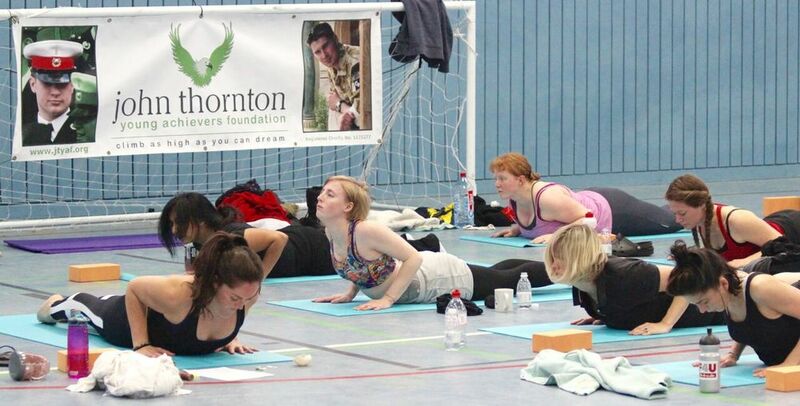 Thanks to Jean Lauder the JTYAF saw its very first 'global' event with a Yogathon in Paderborn, Germany! Jean trained in India, the birthplace of yoga and decided to take on the challenge of 108 Sun Salutations which is an ancient Hindu tradition to honour the change in seasons. Typically, it is done during the summer and winter solstice time, the number 108 having long been significant. 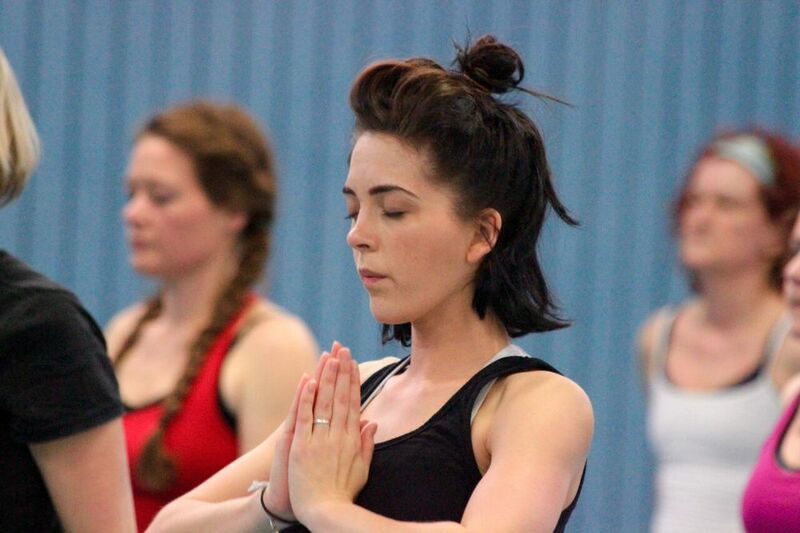 Jean divided the 108 salutations into 4 groups of 27 - each consisting of 12 yoga postures. Doing 108 Sun Salutations continuously is a huge challenge and requires stamina, physical fitness and above all mental resolve and discipline. Jean and her 12 yoga students completed their Yogathon in 3 hours which was a fantastic achievement. A huge thank you must go to Jean, to all those who took part and to all those who came along to show their support. A fantastic €1000 was raised on the day! Thanks must also go to Claire Hunt who kindly organised the refreshments and Rachel from 'This Is Carrt' who took some fabulous photos. If you would like to support Jean's event several on-line fundraising pages are available.